The BRP Ramon Alcaraz. Via Wikimedia Commons. This week saw the Philippine Navy’s largest surface vessels join the US Navy for “at-sea evolutions” at an undisclosed part of the South China Sea. The exercises were called Sama Sama, which is Filipino for “together, jointly” or “togetherness” and is meant to convey the unshakable alliance between Manila and Washington, DC. Members of Japan’s own maritime self-defense force were reported to have joined as observers. 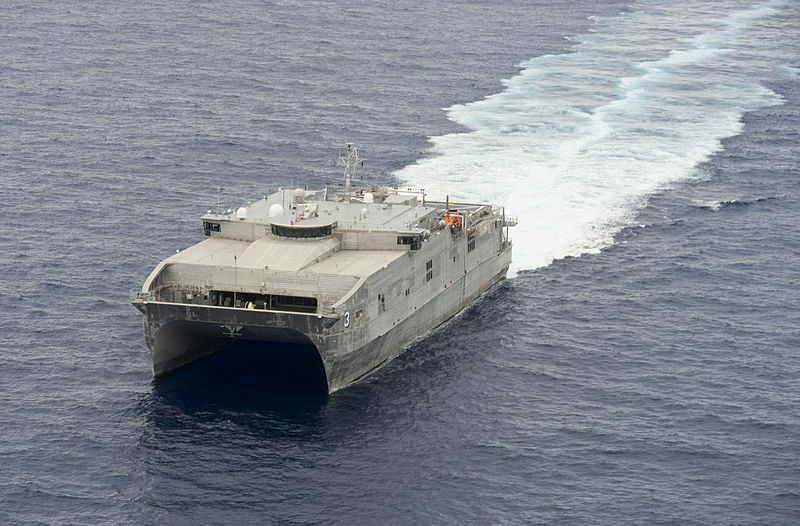 On July 9 the Indo-Pacific Command announced the USNS Millinocket and the USNS Salvor, along with a single P-8 Poseidon anti-submarine warfare aircraft, were sailing with the PN’s BRP Ramon Alcaraz and the BRP Tarlac. 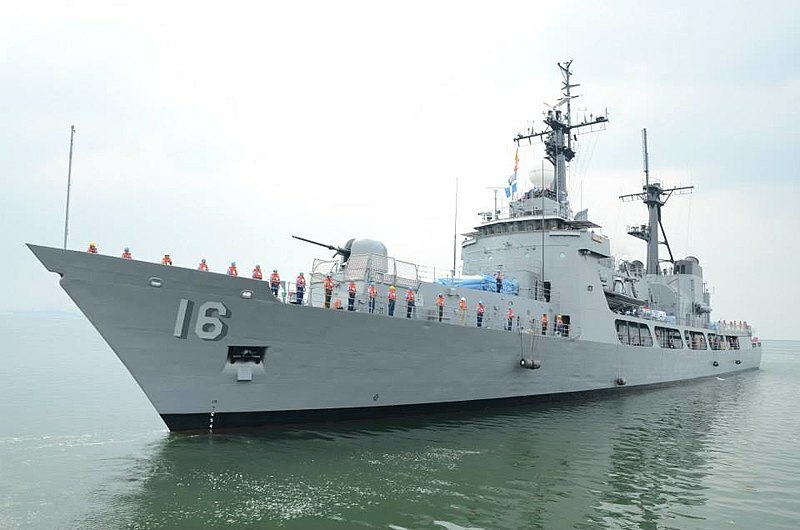 The Ramon Alcaraz is a retired US Coast Guard Hamilton-class cutter serving as a frigate while the BRP Tarlac is a Makassar-class LPD made in Indonesia. The Indo-Pacific Command did specify the different tasks involved during Sama Sama like air defense, diving, and search and rescue. The week-long schedule for Sama Sama had a “shore phase” component where conferences took place at three locations in the Philippines to transfer skills. The US Navy contingent were part of Task Force 73 led by Rear Admiral Joey Tynch. Rear Admiral Tynch and Captain Masahiro Goto later visited PN headquarters before the conclusion of Sama Sama. The JMSDF’s Captain Goto assured his hosts that Japan is always ready to help the PN’s humanitarian endeavors in disaster areas. The USNS Millinocket is designated a “fast transport ship.” Via Wikimedia Commons. Aside from Sama Sama, naval personnel from Japan, the Philippines, and the US are still at RIMPAC 2018 until August 2. The PN sent another of its Hamilton-class frigates and an LPD carrying marines to Hawaii for joint training on June 29 in what looks like a determined pivot away from the Duterte administration’s alignment with China. Taken as a whole, the three scheduled visits by US aircraft carriers to the Philippines this year; the successful undertaking of the latest Balikatan joint exercises in May; the commitment to participate in RIMPAC 2018; and the activities taking place during Sama Sama serve as ultimate proof the Philippines’ remains in the US’ security umbrella and is now focused on enhancing its naval strength. This isn’t just unprecedented–the PN are expecting $1.46 billion in additional modernization funds to cover the next four years–but a sure sign the Philippine military view China’s annexation of the South China Sea (or West Philippine Sea) as a grave threat that needs to be addressed, even confronted, in the near future. While Beijing has dangled opportunities for ASEAN navies to train with the PLAN and its “coast guard,” there was never any commensurate de-escalation of military activities in the waters it claims as its own. Far from being shrouded in secrecy, the tempo of PLAN exercises–many involve discharging weapons in simulated battles–is always covered by Chinese state media. 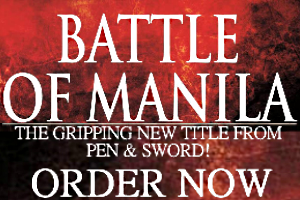 This July, for example, PLAN frigates showed off their firepower in the South China Sea. In June, the Chinese coast guard spent a whole week for a “cruising drill” while an “island encirclement” was carried out by the PLAN to threaten Taiwan. With the South China Sea now fully militarized the region has no choice but to ensure an armed peace remains intact while local navies prepare for battle. The Sama Sama exercise involving Philippine and US ships did have an air defense and anti-submarine warfare component after all.